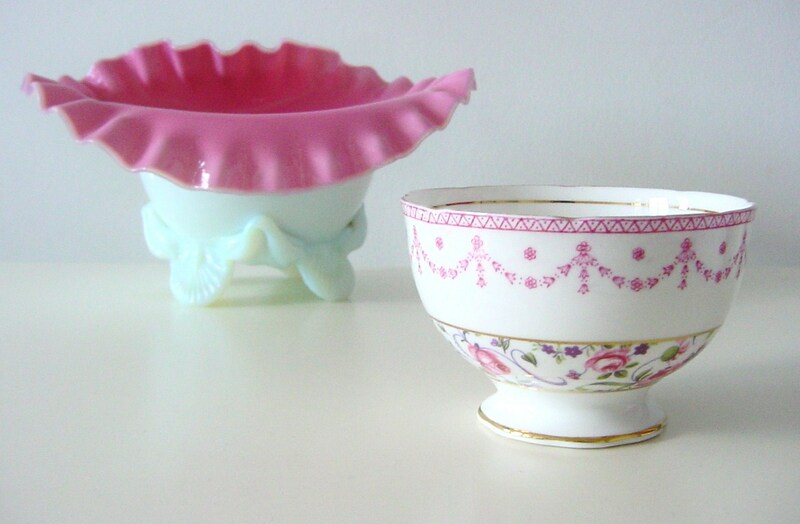 Something I am always on the lookout for are china sugar bowls and milk jugs, especially with pretty pink flower patterns. 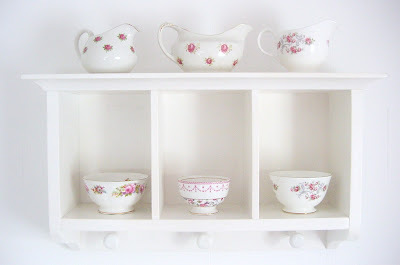 I love the thought of days gone by when tea was a proper ritual. Teapot, sugar bowl, milk jug, dainty cup and saucer. Today everything is rush, rush, rush. Sadly, its not likely anytime soon that the four men in my home would join me in my love of this ritual. When I was a single, childless, girl about town, I would regularly sit on my balcony, looking out to sea, sipping my tea delicately from a china cup and saucer and flipping through my vogue magazine pretending to be a “proper” lady ! Ha! Little did I know that my neighbours (now very dear friends) would watch me and smile at my “grandeur”. A collection of some of my bowls and jugs all but one purchased from Ebay. The only thing I resent about winning an item off Ebay is usually the postage cost makes the item not such a great bargain . 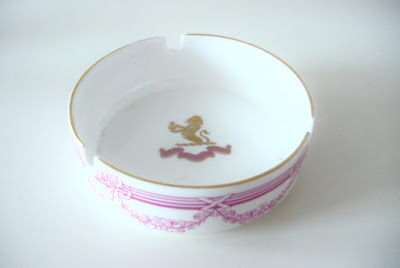 This Sailsbury Regency bone china sugar bowl is a real favourite of mine. Won for 99p on Ebay but with a hefty £3.95 postage. Bah ! The wonderful ashtray above was a real find at a car boot last summer at just 20p. Filthy dirty in a box of junk, I spotted the pink swags and when I picked it up discovered it was back stamped with a mark from The Ritz ! The stories it could tell. Hope they don’t want it back anytime soon. That ashtray is lovely. It's probably are rare item now with the smoking ban!